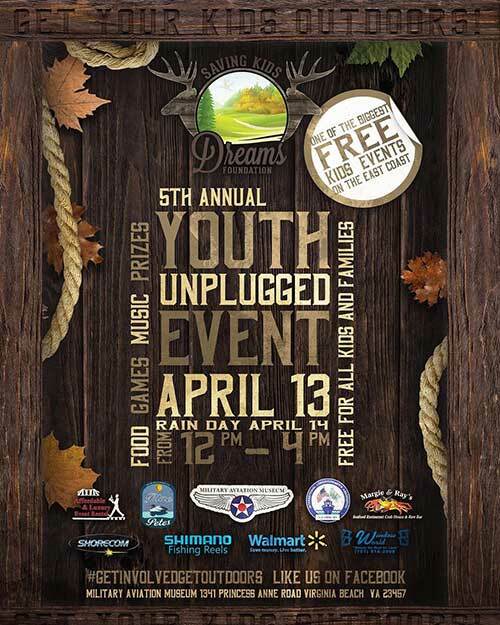 Saving Kids Dreams is hosting the 5th Annual Youth Unplugged Event on April 13th 2019 at the Military Aviation Museum. This is one of the biggest FREE kids events on the east coast. Get your kids outside! and even more FUN !! !